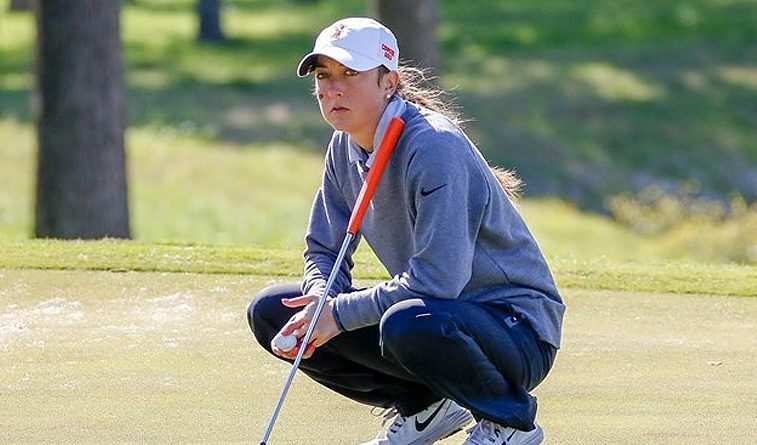 STILLWATER – The final step in the journey back to the NCAA Championships at Karsten Creek will be in California for the Oklahoma State women’s golf team. The No. 17 ranked Cowgirls will play their NCAA Regional May 7-9 at TPC Harding Park in San Francisco. Golf Channel aired the selection show and featured OSU live on national TV. The low six teams and the low three individuals not on those teams at each of the four NCAA Regional sites (for a total of 24 teams and 12 individuals) advance to the NCAA Championships, which are being hosted by OSU from May 18-23 at Karsten Creek, the home of Oklahoma State golf. This year’s other NCAA Regional sites include Austin, Texas (UT Golf Club), Madison, Wisconsin (University Ridge Golf Course) and Tallahassee, Florida (Don Veller Seminole Golf Course). This is OSU’s 25th consecutive NCAA Regional appearance, which is every year since the inception of the regional format in 1993. The Cowgirls have advanced to the NCAA Championships 21 times. Tickets are on sale now for the NCAA Championships at Karsten Creek. Visit the official NCAA Golf Championships at Karsten Creek site for more information.